Two Friday's ago, I was on Strode Ave, preparing to turn east onto Lincoln Highway. Looking east, and taking in the full vista of Coatesville, I was filled with a sadness. We traveled east on Lincoln Highway, crossing Brandywine creek and heading into town. My eyes were met with decay and dirt. A block of shops in the town center were replaced by a gaping dirt patch. Across the street, people were sitting idly outside of a laundromat. Further on, my eyes met the crumbling bronze work on the steeple of the church that was once First Baptist. As we continued, there was a growing "Bizarro-World" feel to things. The buildings were, for the most part, the same. Yet, they were occupied with other activities. Gibney's, Teti's, Sante's were all still "there", but were occupied by different businesses. Stirling Street offered the next bit of shock. I alluded to the fact in a previous post that everything seems smaller than the way it appears in Memory; the 800th block of Stirling Street is no exception. Looking end to end at a strip of pavement less than 1,000 feet from end to end, I was stunned in apprehending the fact that the first 8 years of my life were played out on this small stage. But for all the change and decline, there sat Holly and Ginger Chenger on their front porch. It was for a moment, like stepping back into a late spring afternoon in 1970. Since returning home, the city has experienced another tragedy as two young men, mired in thuggery and culture of violence, had their showdown at Sixth and Lincoln Hwy. In the end game, a 16 year-old lay mortally wounded and a 23 year-old effectively ended his life. So what's the future hold for Coatesville? Is she doomed to become Pennsylvania's Camden, or Chester County's Beirut? Is she resigned to end her death spin into the ground as a burnt out carcass of what she once was? I don't believe that this is a foregone conclusion. But what's to be done? Coatesville is in dire need of Divine intervention, and must set out on a path of repentance, reconstitution, revitalization, and revival. I'm calling on every Priest, Pastor, Rabbi, and Evangelist between the Checker and Caln bridges to call a solemn convocation. Every person of faith needs to gather in tears, fasting and ashes, to repent and intercede for their beloved city. Until the hand of providence moves on behalf of Coatesville, she'll remain mired in fatal inertia. 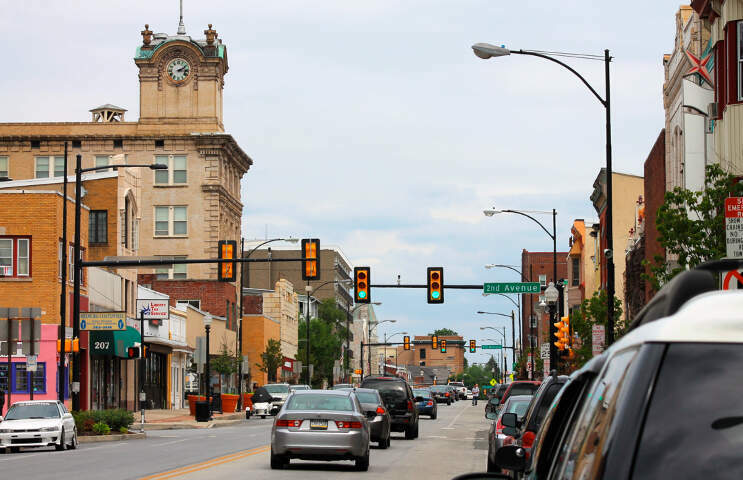 Coatesville must reconstitute as a community. Recalling her history as a station on the underground railroad, she must embrace a post-racial view where divisions are cast aside and an emergent sense of unity is fostered. The city must become a "hyphen-free" zone where the citizens apprehend the truth that regardless of race or ethnicity, they're all citizens of the same city; they stand and fall together. Once this worldview is embraced, they can begin to aggressively take on crime, and blight. The citizens need to vote out any civic leader who has failed in their promises to bring about change. Too, these leaders must never loose sight of the truth, that they aren't there to "rule", they've been placed in office to represent their constituents. These leaders should be held accountable, and required to create a climate where business and industry can once again thrive. As the local economy stabilizes and expands, unemployment rates will dive, deficits will evaporate and quality of life will swing upward. Municipal and cultural revival will be the end result. This is hard and it will be hard. Yet, its attainable for a community that rises up to say that "We ARE Coatesville, and we're through with the status quo of the past 35 years."